Over the past few years, I have seen articles by young adults who have been adopted by Western families as children, sometimes infants. These adult adoptees have returned to Korea and advocated for the end of international adoption of Korean children. They speak of loss of culture, racist experiences, parents who don’t understand what it means to be a minority in the United States, and anger because they lacked any control over their adoptions. I sympathize with their pain and angst and hope they can find peace. These articles touched me for two reasons: first, I felt sad for the obvious anxiety and anguish the young people in the articles suffered; second, I worried that the general public, or at least those not intimately familiar with international adoption, would only know these stories and believe that these experiences were widespread and the norm for adult adoptees. My story is different. I do not want, or intend, to minimize others’ experiences, but I feel the need to tell my story, too. In 1977, at 10 months old, I was escorted from Seoul, Korea, to my family in Wisconsin. I grew up in rural Wisconsin with an older brother and sister (both adopted domestically) and a younger brother (also adopted from Korea). Adoption was and is my normal. My family was created through adoption, and I didn’t give it any more thought than children whose families were created through birth think about biological connectedness. It was always amusing to hear comments about how my older brother inherited his height from our mom’s side of the family. I lived what I consider a typical small town American childhood: I played sports, I knew all of my classmates, I went to the local holiday parades and celebrations, and I couldn’t walk, bike, or drive through town without waving numerous times. I grew up in the generation of adoptees whose parents were told to assimilate their children of different races and to be colorblind. I was called racist names, both by those with malicious intent and by friends who meant no harm. I freely admit I used other people’s ignorance for my own purposes-I would pretend I didn’t speak English when salespeople came to the house. I grew up, went to college, married, worked, went to law school, welcomed two children into my family, worked some more…nothing I consider unusual. Growing up, I never fantasized about my “real” parents or idealized them. Frankly, I rarely thought of them. 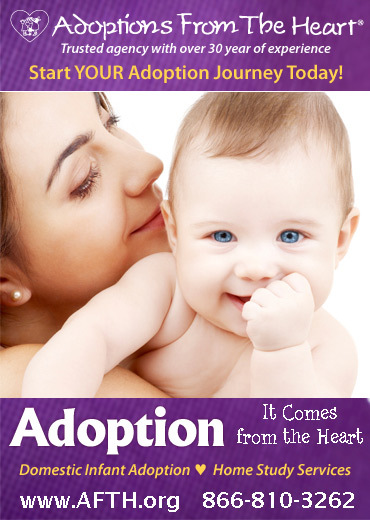 I had my family, and I didn’t agonize over my adoption. Did I have issues? Absolutely. I was a perfectionist. I demanded a lot from myself and rarely gave myself permission to be human. In middle school, I wasn’t very nice and was entirely too concerned with what others thought. I struggled with boyfriend issues, conflicts with friends, and parents who didn’t understand me and sometimes seemed to be aliens. In short, I was a typical teenager. However, unlike the adoptees in the articles I have read, I never felt I was missing pieces of my identity, never felt like I was an outsider, never felt pressured to feel obligated or indebted to my parents, and never felt any confusion as to my culture or ethnicity. I am American. While I understand the trend of hyphenating culture as a proxy for race, I do not identify as Korean-American. I have no Korean culture or ethnicity. Korean-American, in my mind, more accurately reflects a person who identifies in some meaningful way with Korean culture or ethnicity. Yes, throughout my childhood (and adulthood), I experienced racism. That’s the reality of being a person of color in the United States. I’ve lived in the Midwest, the West, and the South, and have experienced racism everywhere. It has not defined me, though I find as the years pass, I am more willing to be “impolite” to those who make racist comments and ask racist questions. By impolite, I do not mean yell at or cuss out (what I sometimes actually want to do). Rather, my answer has more to do with my comfort than with the actual question or the comfort of the person asking. I resent the implication that I’m not American when people ask where I’m from, and then are unsatisfied when I answer Wisconsin, because, clearly, I can’t be from Wisconsin. Frankly, I find it hilarious when someone comments on my English, because it’s clear to anyone who sets aside their preconceived notions that English is my first language. I try to find humor in the ignorance and racism I experience, but, after a lifetime of it, that’s not always easy. Adoption and racism are often conflated. While they sometimes intersect, they are two very different issues. Any person of color in the United States, whether adopted or not, can probably relate to at least some of the previous paragraph. The focus of this article, however, is adoption. With other adult adoptees advocating for the end of international adoption, I can’t help but imagine how different my life would have been had I not been adopted. As an abandoned baby in 1970s Korea, I would have lacked the essential support system necessary for success in that country: a family to claim me and for me to call my own. A new generation of parents, to which my husband and I belong, are now told to celebrate their children’s birth cultures with culture camps and language and culture classes. Parents are encouraged to discuss race openly with their children. My husband and I take our children (also adopted from Korea) to culture camp, and race and adoption discussions are common in our house. 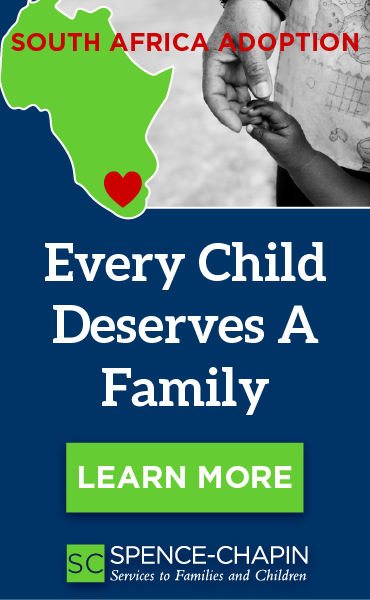 The adoption community is filled with discussions of how to ensure internationally adopted children are exposed to the cultures of their birth countries. 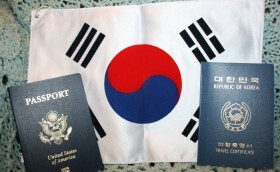 Could I have graduated from both college and law school had I remained in Korea as an orphan? Maybe. However, I feel confident that I would not have had my husband, mom, dad, two brothers, one sister, two sisters-in-law, one brother-in-law, two nieces, and one nephew at my law school graduation cheering me on. Without the support of a loving family, the joy I found in my success would have been diminished considerably. Had I not been adopted, I doubt that I would now celebrate the holidays amidst not only my family, but also my husband’s family. Through my husband, I gained another loving support system consisting of his parents, four siblings, three siblings-in-law, and nine nieces and nephews. Our families fill my life with love, support, and family connectedness. That is what adoption has brought to my life. My hope is that other adult adoptees from Korea will share their stories, or at least say, “Me too-I’m happy, healthy, and was raised in a loving family because of adoption.” While my heart aches for those adoptees in pain, my life has been enriched by love, support, and the sense of security only a family can provide because of adoption.